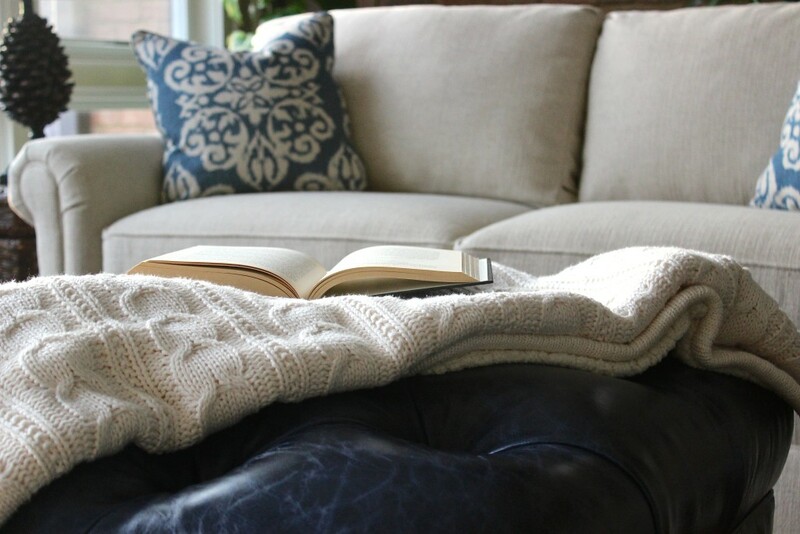 Winter days have me wanting to wrap up in my favorite blanket, read a good book, and enjoy a big ol’ cup of hot chocolate. 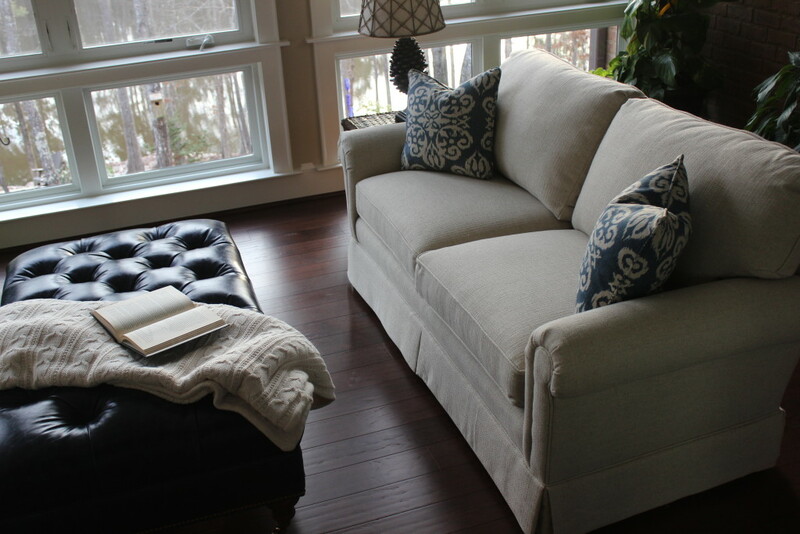 This late January furniture delivery for a client’s sun room warmed my heart! Have you ever dropped an Andes Mint into your hot cocoa or added a spoonfull of marshmellow fluff? No? You are going to want to try this. YUM! 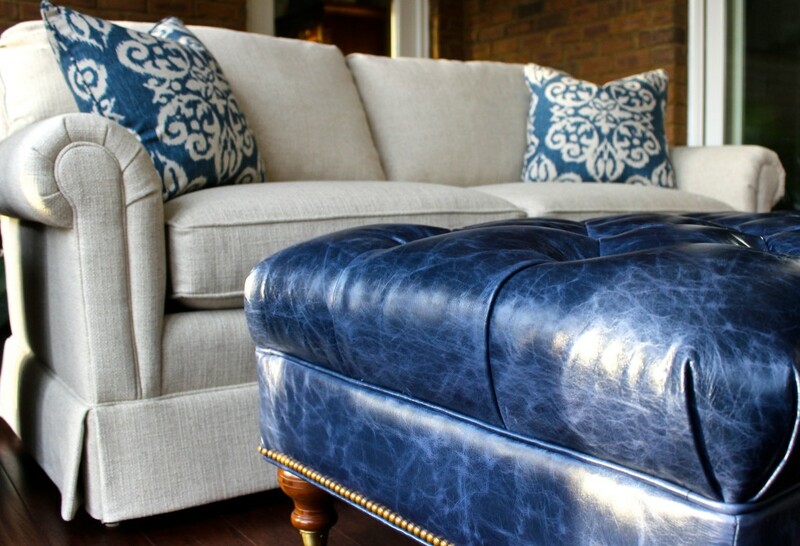 I love this pair of sofas paired with this beautiful indigo leather ottoman. 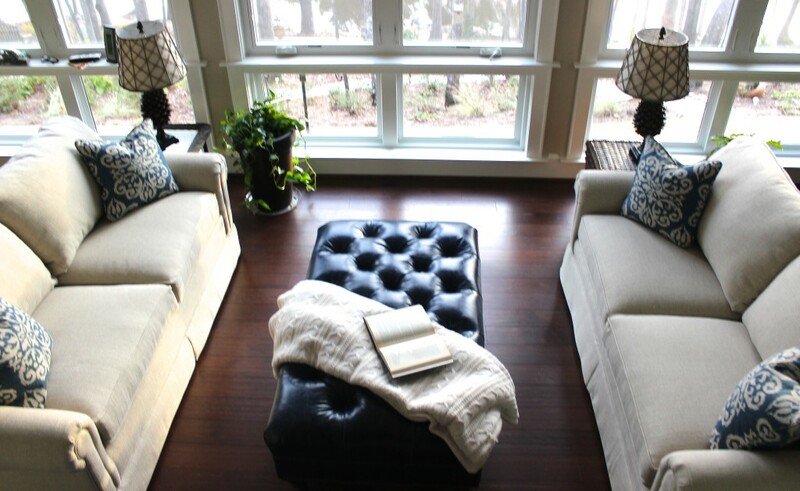 It is the perfect spot to curl up and enjoy a good read! This ottoman brings the room together and offers the perfect place to rest those cold feet. Not to mention, it is beautiful! Nail head trim is the perfect finishing touch! 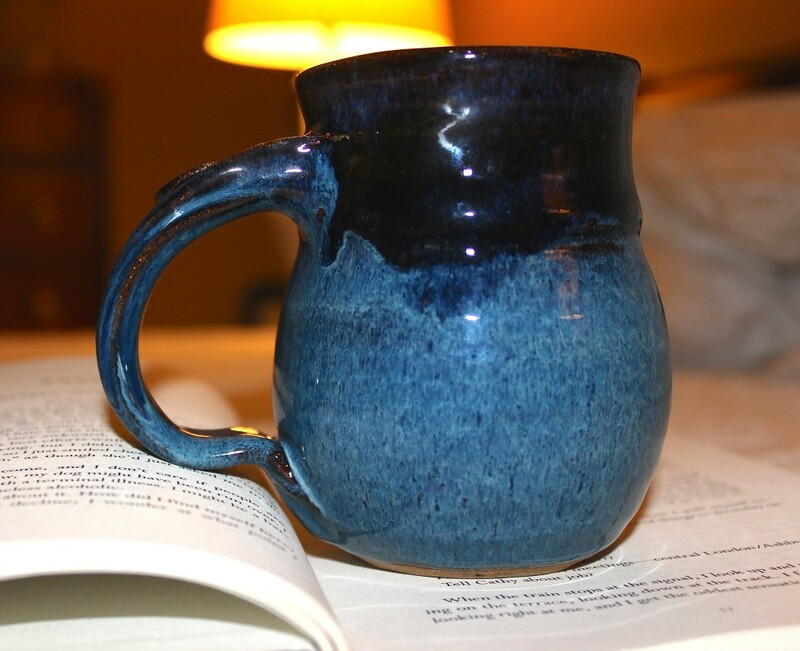 Here’s to getting cozy with indigo! !